In order to best support our students’ success…. All wheeled transportation must be placed in students’ lockers or locked on the racks or bike cage and cannot be carried during the school day. All wheeled transportation is never to be ridden on or near the campus before, during, or after school, including evenings and weekends. Students must hold onto their skateboard on Rollin Street, Fair Oaks Blvd, and Oak Street near the campus before and after school. No backpacks in the classrooms/hallways. Backpacks and other personal items are the responsibility of the student. They are not to be left unattended (for example: hidden in the bushes). Unattended backpacks will be taken to the office. Repeated violations will result in consequences. Lockers must be locked at all times. Lockers and all areas outside of the quad are off limits five minutes after the start of brunch/lunch. Food and beverages may only be consumed or eaten in the cafeteria and quad area. There is to be no food or beverages consumed anywhere else on campus. No food deliveries from business are allowed on campus (for example Pizza Hut). Parents may drop off forgotten lunches only on the black wire shelf located in the office. Clear water bottles (which contain only water) are allowed, except in the computer lab/library/art room/wherever liquids are not allowed. Office staff cannot accept lunch money to be handed to students. 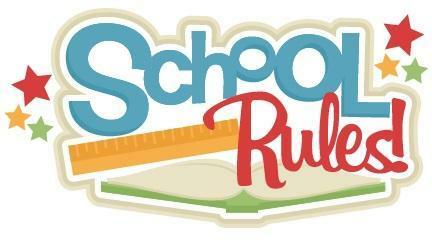 Students must start reporting to class at 7:55 A.M. in order to be in class on time. Students may not walk through the staff parking lot. Please use the sidewalks. All students must report to the quad for brunch/lunch within 5 minutes. Food and beverages may only be consumed or eaten in the quad area. There is to be no food or beverages consumed anywhere else on campus. Students are responsible for their own trash and must place it in the proper containers when they are finished. There is no running, chasing, or horseplay (including “play” fighting) in the quad during brunch/lunch/after school. Students may use the grass fields (when open) for exercise during lunch. All athletic gear may only be used on the field. Students must leave campus fifteen minutes after the end of school. On Mondays this is 2:35, on Tuesdays through Fridays, this is 2:55. All students on campus after this time must have a pass or be part of a school authorized activity (Tiger Club, after school sports, tutoring, etc.). No valuable items, including money, can be dropped off at the front office. Any items left in locked classrooms after school hours can be picked up the following day. 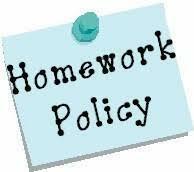 The office cannot call students out of class unless there is an emergency or student is being picked up by a parent. Students are not allowed to sell any items during the school day. 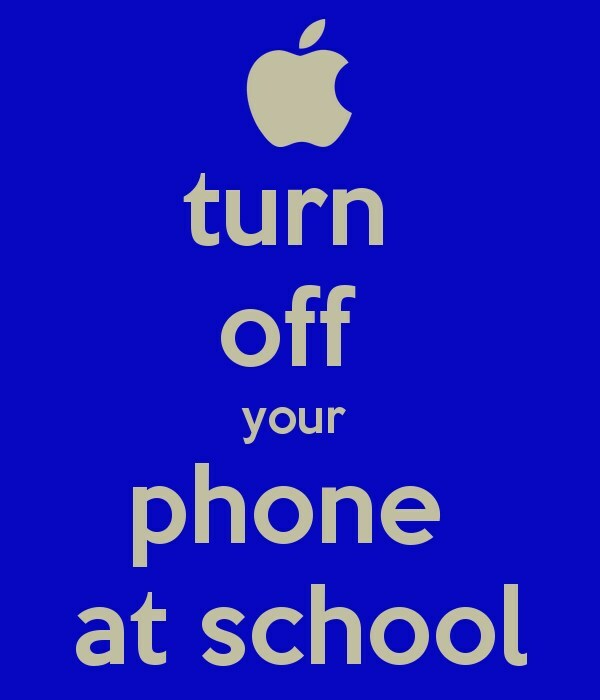 1st time: 2 lunch detentions, phone is confiscated, student picks up phone at the end of the day, parent is notified. 2nd time: After school detention, phone is confiscated, parent picks up phone at the end of the school day. 3rd time: Two after school detentions, phone is confiscated, phone is held for 3 school days after the day it was confiscated. Phone is picked up by a parent. 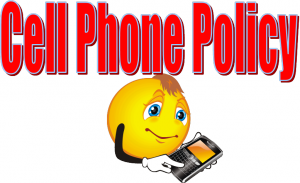 4th time: Student attends Saturday detention, phone is confiscated, phone is held for 1 week. Parent meeting. More than 4 times: student attends multiple Saturday detentions, phone is confiscated, phone is held for at least 1 month. Parent meeting. We are NOT responsible for recovering lost or stolen electronic equipment. Students are welcome to contact parents from the main office during brunch or lunch. The school administration shall have the right to designate which types of dress, fashion, fads, or appearance disrupts or detracts from the educational program and may be a potential safety hazard. Parents will be contacted for dress code violations. No tube tops, off the shoulder tops, or spaghetti straps. No spandex shorts during the school day. No bare midriffs, backless shirts, or see-through tops. Skirts, shorts, and dresses must be long enough to reach where the middle finger connects to the palm. No flip-flops or open toed shoes. No sagging. Pants must be worn to cover underwear. No hats or hoods over the head inside of school buildings including classrooms, the office, and auditorium. No pictures or advertisements of alcohol, cigarettes, and/or drugs on clothing, notebooks or backpacks. No slogans, emblems or advertising on clothing which by their controversial or obscene nature disrupt the educational setting. 8am to 2:20pm - Mon. 8am to 2:40pm - Tue. - Fri. If it's an emergency and you need to reach your student you can call the school office at 626-441-5830. We will forward a message to your student to call you back, in the office.